Amanda Earhart, MSW, LSW, received her Bachelor of Arts in Psychology in 2004 from Northern Kentucky University (NKU). She returned to NKU and received her Masters of Social Work in 2017. She is currently a Licensed Social Worker in the state of Ohio. Amanda has over 15 years’ experience working with children ages 0-6. Her experience includes; Infant/Toddler Teacher, Home Visitor for prevention programs, Mental Health Specialist for Head Start, and Early Childhood Therapist. What she loves most about my job as an Early Childhood Therapist/Consultant, is partnering with parents and teachers to help children build healthy social/emotional foundations. Kelsey Folzenlogen, MA, LPC, completed her Master of Arts Degree in Mental Health Counseling at University of Cincinnati in 2016. Kelsey spent 2 years as a preschool teacher at Arlitt Center for Education, Research, and Sustainability before beginning at Child Focus in 2018. Through Child Focus, Kelsey is the school-based therapist at Kilgour Elementary. When working with young clients, Kelsey enjoys utilizing elements of play, art, and mindfulness. 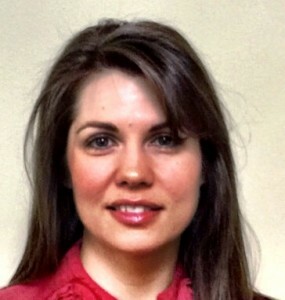 Rachel Forster MS, MSW, LISW, is a therapist at Child Focus, Inc. in the Wasserman Youth and Adolescent Center. Ms. Forster is a Licensed Independent Social Worker through the State of Ohio Counselor, Social Worker, Marriage and Family Therapist Board. Ms. Forster has a Master of Social Work from Loyola University Chicago and a Master of Child Development from Erikson Institute in Chicago. Prior to working at Child focus, Ms. Forster worked as a Special Education Teacher for several years working with children ages kindergarten to 8th grade with diverse disabilities. Ms. Forster interned at Pillars Mental Health in Berwyn, IL where she worked with early childhood children with mental health issues and their families, along with consulting with a head start program and elementary school. Ms. Forster interned at Advocate Lutheran General Children’s Hospital supporting the emotional needs of the children and families that were hospitalized for medical needs. Ms. Forster is currently a therapist at the Wasserman Youth and Adolescent Center (WYAC) Partial Hospitalization/Day Treatment Program, working with clients who have severe enough mental health issues that prevent them from functioning in a typical school setting. In addition to providing individual and family therapy, Ms. Forster facilitates group therapy and is trained in nonviolent crisis intervention. Cali Fuller, BA, CT, is a Counselor in Training and provides outpatient therapy services for children and adolescents at Child Focus. Ms. Fuller completed her Bachelor of Arts in Psychology at the University of Cincinnati in 2016. She is currently pursuing a Masters degree in Clinical Mental Health at Xavier University. Prior to joining Child Focus in January of 2018, Ms. Fuller worked as a qualified mental health specialist at GLAD House, and provided Community Psychiatric Support Treatment (CPST) services to high-risk youth who have been impacted emotionally and behaviorally by a family member with addiction. Kelly Gehring, M.Ed, LPC, is a Licensed Professional Counselor in the state of Ohio. 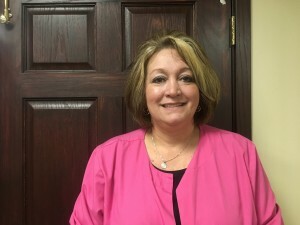 Since September of 2018, she has worked for Child Focus, Inc. as a school based therapist in the Forest Hills School District. She received her Master of Education in Counseling and Human Development from Lindsey Wilson College in December of 2017. Prior to joining Child Focus, she spent the previous ten years working as a Mental Health Specialist II at Cincinnati Children’s Hospital Medical Center on one of the residential units servicing adolescent females experiencing emotional and behavioral issues. She has also spent the last year and a half providing therapy in a private practice setting to various ages and working with a variety of issues. As part of practicum/internship experiences she also provided school-based services which ultimately led her to Child Focus and solidified her decision to work with children. Alison Gensic, M.S., LPCC, is an independently licensed therapist providing Multi-Dimensional Family Therapy (MDFT) with the Juvenile Court team at Child Focus, Inc. She received her bachelor’s degree in 2004 from Ohio Valley University in psychology. In 2007, she received her master’s degree from Abilene Christian University in counseling psychology. Ms. Gensic started working at Child Focus in 2015 and works alongside the Clermont County Juvenile Court and Probation department in assisting at-risk youth and their families. In addition to providing intensive family and individual therapy, she provides supervision as a certified MDFT supervisor and administrative oversight for the Juvenile Court team. Ms. Gensic’s areas of competences include Child and Adolescent counseling, Family Counseling, Trauma Counseling, and mental health counseling. Robert ("Bobby") Gibler, M.A., completed his Master of Arts degree in clinical psychology at the University of Cincinnati. He is currently a 4th year graduate student at the University of Cincinnati and is working toward his doctorate in clinical psychology. Before coming to Child Focus, Bobby gained experience in the assessment of developmental delays and autism spectrum disorders among children and adolescents at Cincinnati Children's Hospital Medical Center. He has also gained experience providing individual therapy to children and adolescents with chronic pain conditions and to young adults in outpatient clinic settings. Bobby has clinical interests in working with children and adolescents with anxiety disorders, mood disorders, and chronic health problems. His theoretical orientation most closely aligns with cognitive-behavioral approaches to treatment. Nicole Gordon, BA, QMHS, earned her Bachelor’s degree in Criminal Justice from Marshall University in 2001. She has acquired many skills throughout her 7 years of experience in the early childhood classroom. Mrs. Gordon joined the Child Focus Mental Health Team in April 2016 under the Whole Child Matters grant. Through this grant she will be consulting with community based preschools, Head Start, and Early Head Start programs in Adams, Brown and Highland counties. Mrs. Gordon is excited to get out in these communities to start learning, helping and growing with the children, parents and teachers. Susan Graham, M.Ed., L.P.C., is the Director of Education Liaisons with Child Focus, Inc. She is responsible for planning and coordination to advance school-based mental and behavioral health services in counties served by Child Focus. Mrs. Graham started working at Child Focus in 1994 as an intern. She has over twenty years of experience working with at-risk youth in a variety of clinical and community settings. She is a responder on the Clermont County Suicide Prevention Hotline and provides extensive training on Bullying Prevention. Mrs. Graham earned her Bachelor of Science degree in Child Development from Michigan State University in 1994 and her Masters of Education in Agency and Community Counseling from Xavier University in 2000. Additionally, she completed the Post-Master’s Clinical Counseling Endorsement Program at Xavier University. She is a Licensed Professional Counselor in the state of Ohio since 2001. Mrs. Graham has had significant training in diagnosis and assessment of mental disorders, family therapy, treating victims and offenders of sexual abuse, domestic violence, substance abuse, and suicide assessment, Bullying Prevention and Crisis Prevention and Intervention. Mrs. Graham is a nationally certified trainer in the Olweus Bullying Prevention Program, the Safe Dates dating violence prevention curriculum and Nonviolent Crisis Intervention through the Crisis Prevention Institute. A. Paul Greco, MA, LPC-TEMP, completed coursework for his Master of Arts in Counseling (Clinical Mental Health Track) through the University of Cincinnati. His past experience includes twelve years in uniform, eight of which consisted of active Army service, including three overseas deployments. He earned his Bachelor's degree in International History. Paul's clinical internship with Lighthouse Youth Services' Juvenile Justice department included work with youth on probation through the Hamilton County court. Paul is currently attached to the Clermont County court to provide rapid response to the mental health needs of court-referred youth entering the county justice system. He is based out of the Mobile Crisis Unit office, and began his placement with Child Focus in October of 2018. Nora Green, MPH, QMHS, has a Master’s degree from Northern Illinois University. She recently moved to Ohio from Illinois. While in Illinois, she worked in grant writing, substance abuse treatment, children’s mental health, educational advocacy, the child welfare system, and as a licensed foster parent. Just prior to moving to Ohio, she enjoyed working at a family advocacy agency teaching nurturing parenting and assisting parents with systems navigation. Nora is enjoying getting to know all about what Cincinnati has to offer children and families! Lisa G. Griffey, LPN, provides Nursing Services at the Mt. Orab location. Lisa has been a Nurse for over 15 years. Lisa has worked in several administrative positions in Long Term Care, has also worked with Hospice and Pediatric Patients, and has also worked in physician offices and clinic situations as well as correctional health care, and addiction treatment. Lisa brings with her a very caring and professional work ethic and she enjoys interacting with Child Focus clients and families.